We've decided it's about time you get to know a little more about us - the people behind Plecto. You may have seen our faces on our 'meet the team' page or spoken to one of us during a demo or whilst getting some support, but we want you to know a few more details. Welcome to another edition of 'Team Spotlight', a series where we invite each member of the Plecto team to share a little bit about themselves. Our fifth guest is Mikkel (known as Mikkel K here at Plecto to differentiate between our two 'Mikkels'! ), one of our developers. 1. How long have you worked at Plecto and what do you do? I started in September of last year. My very first day was actually the day we went to Spain for our company trip. Very exciting way to start my career as a Plectonian! I work as a junior developer but have a background as a physicist. Therefore my take on things is usually a little different than most "classic" developers. Holstebro, Denmark - but my mother is from Burgundy, France, so I actually have dual citizenship and speak French fluently! 3. How did you end up working at Plecto? After my Master's degree in physics, I realised that programming and developing is what drives me, so a career as a developer was the obvious choice. During my studies, I always liked using the programming language Python for data analysis. Therefore I was looking for a job where I would be using it full time. 4. What kind of jobs have you had before joining Plecto? I have had some small-time jobs in between my studies in retail, as a postman and as a student programmer, but Plecto is the first workplace of my real career. 5. What’s your favourite thing about working in development? That I gain new skills every single day. There is so much to learn, but in my ~7 months at Plecto, I have progressed immensely. It's nice to be around skilled people who are willing to teach about their favourite technologies. 6. What are some of your hobbies/what do you like to do in your spare time? I recently became a father in May, so I like to spend time with my little cutie of a son. When he's not occupying my calendar, I like to go disc golfing (frisbee golf) which is an awesome sport! 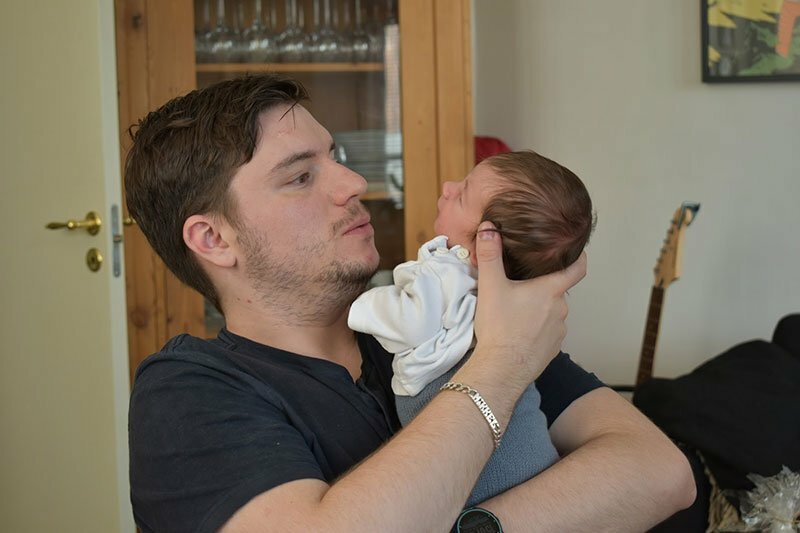 Mikkel and his son Louis when he was only 2 weeks old! 7. What’s your dream holiday destination? France, obviously. My family has an old farmhouse in the countryside which is really primitive and quiet. I love going there every summer to completely relax and detach myself from everyday life. 8. What’s your favourite TV series? Must be How I Met Your Mother. I can watch those episodes again and again and still laugh at the same bad jokes. 9. What’s the last film you watched? I don't watch many films at the moment. Must have been Bladerunner or The Last Jedi. 10. What’s your favourite cocktail? At the moment it must be a either a Gin Basil Smash or a Zombie - both really get me going! 11. What's your favourite gif/meme? 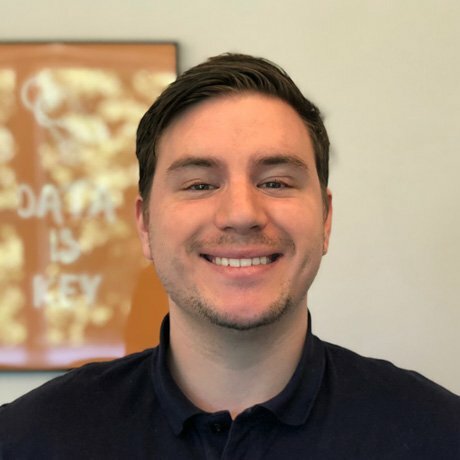 Learn more about the Plecto team!